In addition to its two regular summer programmes, the Research Centre for Anatolian Civilisation (RCAC) is introducing a brand-new programme this year. 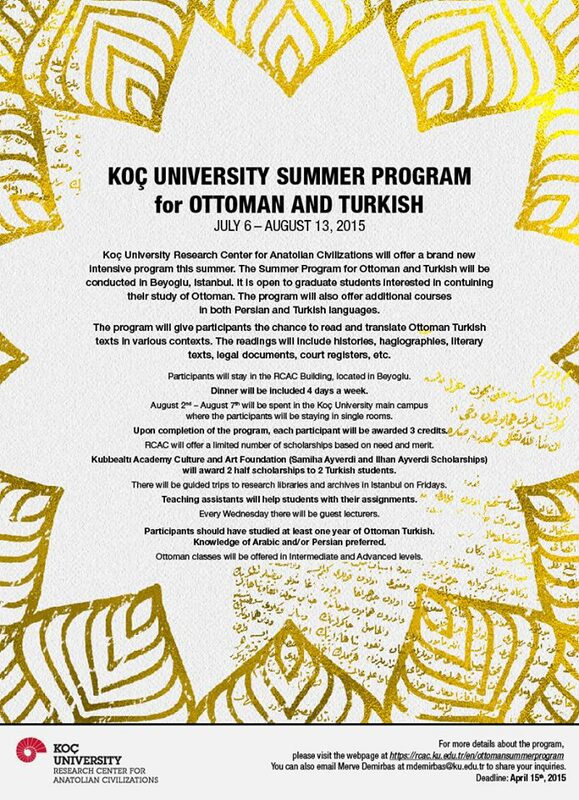 The Summer Programme for Ottoman and Turkish will run from July 6 to August 13, 2015 from RCAC’s Galatasaray venue. This intensive programme is open to graduate students interested in contuining their study of Ottoman. The programme will also offer additional courses in Persian and Turkish to those who want to improve their skills. 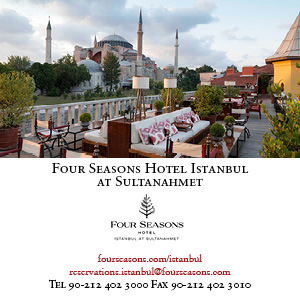 Participants will be given the chance to read and translate Ottoman Turkish texts in various contexts. The readings will include histories, hagiographies, literary texts, legal documents, court registers, etc. Participants will reside at the RCAC and dinner will be included four evenings a week. To apply, you must have studied Ottoman Turkish for at least a year and knowledge of Arabic and/or Persian is also valued. Click here to apply. Applications close April 15, 2015. 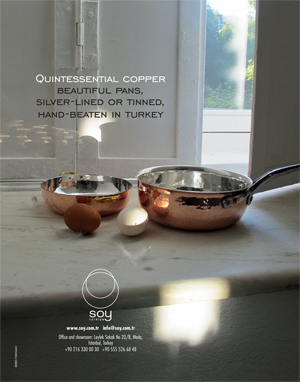 You can also apply for the Istanbul Through the Ages programme (June 29 – July 21) or the Cappadocia in Context programme (June 11 – June 26). Good luck!